garvey cey russell lopes: the 1978 topps john hale card that should have been! 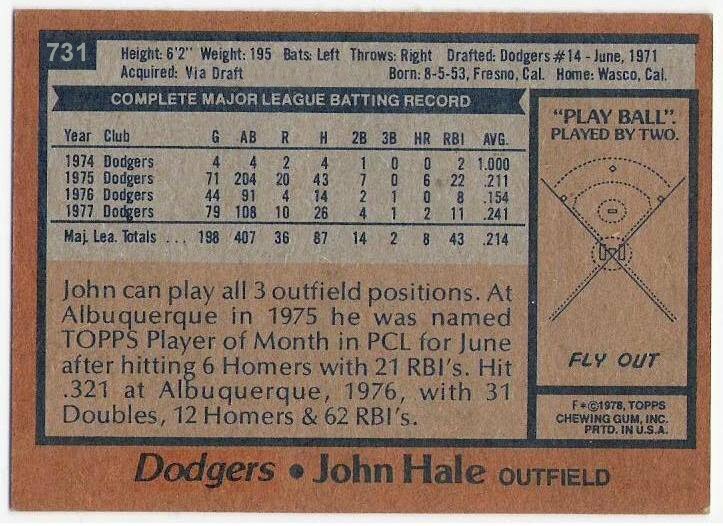 the 1978 topps john hale card that should have been! 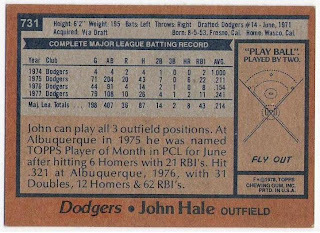 yes, john hale did have a card in the 1978 topps set. but it showed him as a mariner, not a dodger. in my quest to create 1978 topps cards for every player who appeared for the dodgers in 1977 or 1978, i had to right that wrong. and what a wrong it was, complete with airbrushed hat and jersey. restoring it to it's original state, no doubt. 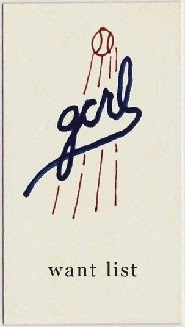 that was easy to do - i just had to change the team affiliation on the back of the original. 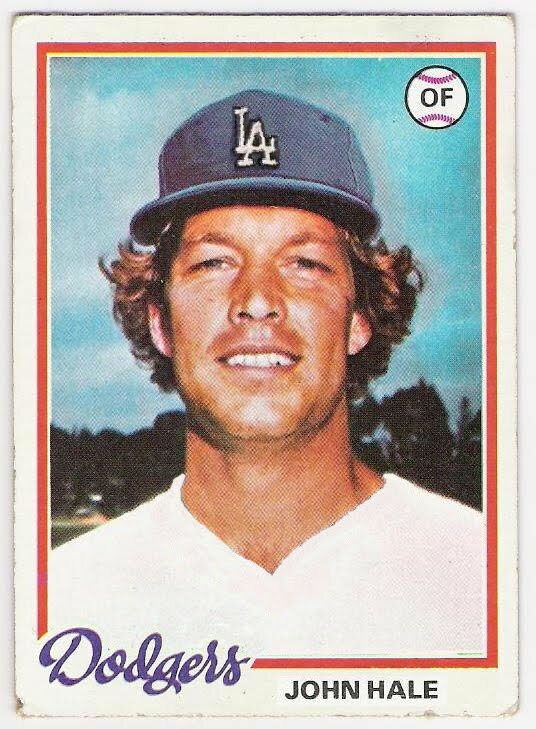 hale was waived by the dodgers in september of 1977, and was picked up by the blue jays. a few days later, the mariners purchased him, although he made no appearances for either team in the majors that season. i didn't know this as a kid (heck, i didn't even know it a year ago), i just wondered why he didn't get to make the set as a dodger. 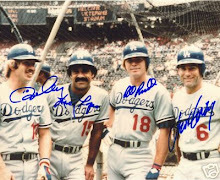 i mean, that photo is very likely taken in vero beach as it is similar to the mike garman, steve garvey and tommy lasorda photos on their cards, and so would fit right in with the dodgers' team set. hale played all three outfield positions in 1977, and made many appearances as a late inning replacement, pinch runner, or pinch hitter. one of his 2 home runs in 1977 was a pinch hit shot against joe niekro and the astros. here's to you, 1978 topps john hale card that should have been! roger craig through the mail success! gcrl through the mail successes! almost! i'm out of position? you're out of position! ted power through the mail success! pete broberg through the mail success! 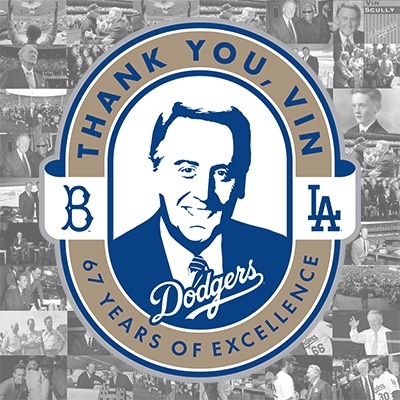 where's the willie davis tribute? don sutton through the mail success! lerrin lagrow through the mail success! gary weiss through the mail success! cards from play at the plate! doug mientkiewicz through the mail success! billy grabarkewitz through the mail success!